A new ranking reveals the suburbs attracting the highest number of online searches per listing in Australia. The report by realestate.com.au found Parkside in South Australia is the most popular suburb in the country in the three months to August. According to local real estate agent Georgie Todd from Harris Real Estate, Parkside offers good value properties close to the city and lifestyle options. “The average price of properties in Parkside is really affordable at around $600,000 and that gets you a fantastic property in this area,” Ms Todd said. She believes the area offers a range of different property types that appeal to both owner-occupiers and investors. “Young professionals are buying the smaller two-bedroom homes which are in high demand. There are also bigger houses in the area to accommodate the family market moving in,” she said. 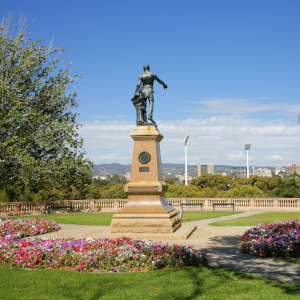 Another popular suburb in South Australia was Norwood, which came third in the rankings. Nonetheless, New South Wales proved to be the most popular state, taking out more than half the suburbs on the top ten. Cherrybrook, Winston Hills, Engadine, Bella Vista and Drummoyne were all in high demand from online browsers. Melbourne’s inner city also attracted increased interest, with Surrey Hills and East Melbourne in the rankings. Realestate.com.au general manager of sales Arthur Charlaftis said a spot in the top ten could indicate favourable selling conditions. “A suburb that features in this list suggests that it could be a good time for property owners in these areas to consider selling as there are a high number of buyers searching for property in that area,” he said.